Improved Formula. Free of Magnesium Stearate. Active B12 Lozenge With L-5-MTHF uses 800 mcg of pure non-racemic L-5-methylfolate in an easy-to absorb form. 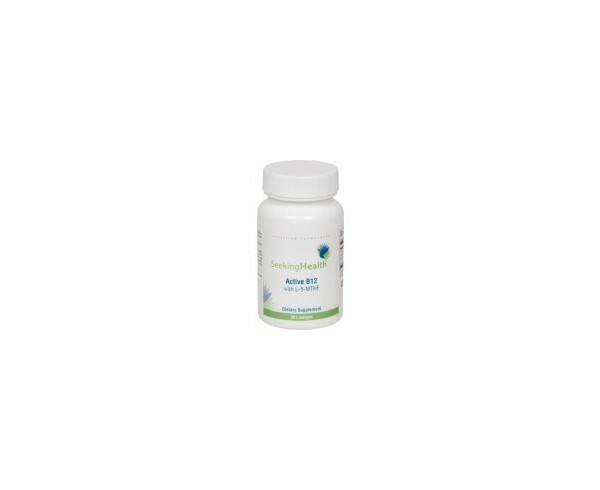 Active B12 with L-5-MTHF delivers two active coenzyme forms of Vitamin B12, Methylcobalamin and Adenosylcobalamin (the mitochondrial form of vitamin B12) along with L-5-methylfolate, the body's most prevalent form of folate in plasma. Folate is an essential component to a prenatal nutrition program as it is necessary for fetal development. Why choose Active B12 Lozenge with L-5-MTHF? Active B12 Lozenge With L-5-MTHF uses 800 mcg of pure non-racemic l-methylfolate in an easy-to deliver lozenge. 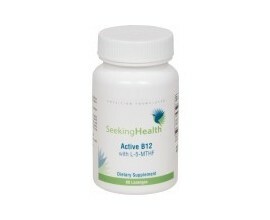 Active B12 with L-5-MTHF delivers two active coenzyme forms of Vitamin B12, Methylcobalamin and Adenosylcobalamin (the mitochondrial form of vitamin B12) along with L-5-methylfolate, the body's most prevalent form of folate in plasma. There are no racemic forms of L-5-methyltetrahydrofolate used in this formulation. The lozenges dissolve in the mouth within a few minutes or may also be swallowed whole if desired. However, this supplement may be better absorbed when slowly dissolved under the tongue rather than swallowed whole. 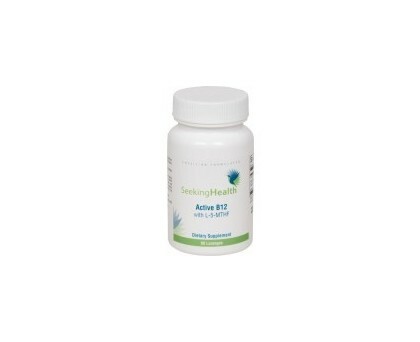 Key Benefits and Actions of Active B12 Lozenge with L-5-MTHF by Seeking Health.